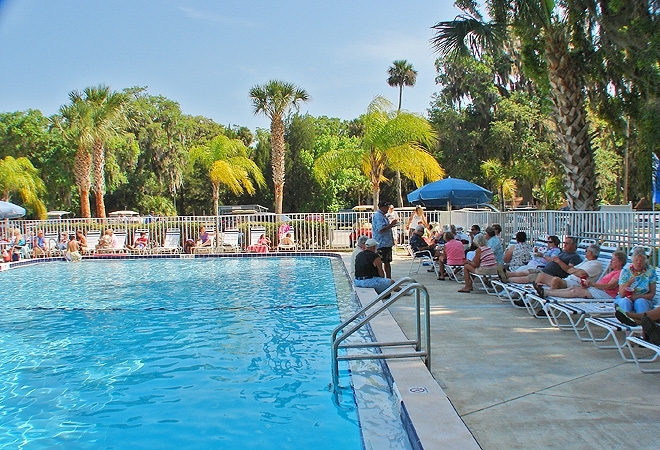 With a full menu of activities and things to do, you'll feel right at home at Bulow RV Resort. Perfect for those who enjoy a sunny Florida environment, Bulow RV Resort is nestled on the banks of Bulow Creek where boating, fishing, hiking and cycling are popular activities. Offering such easy access to Bulow Creek and ideally located just a short drive from the Intracoastal Waterway, Bulow is truly a water lover's paradise. Vacationing at Bulow RV Resort offers incredible access to a number of recreational activities in Flagler Beach, Daytona Beach and St. Augustine - including six nearby golf courses. On the resort grounds, guests enjoy a small-town feel in our community, complete with an on-site shoppette.